Latest additions in vector related designs that catch our attention these few days and some from previous year are a few quite simple, useful and free design tools from online vector editor, animated SVG icons, font editor for newbie font designer, detect web font tool, print design freebies, box template and low poly mask. This is another open source simple SVG vector editor, as an addition to our previously posted Vector Graphic Editor lists. The future of vector embedded in a webpage or apps are SVG, and this is some cool examples available out there. This is a HTML5 based font editor (or font designer), if you’re looking for free and wanna try to create some self made font. 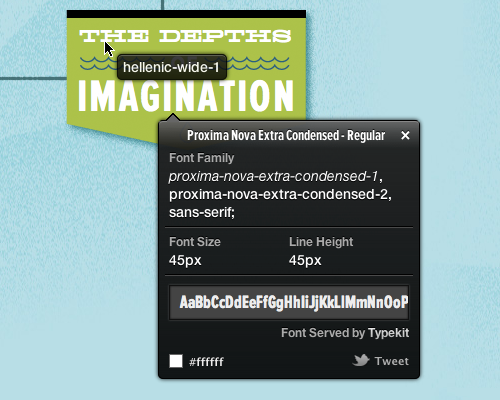 Sometimes we see many interesting fonts or typeface been used in a webpage, but not really know the font’s name.. so this is the perfect tools to detect. There are many websites offering verity of box template designs, but most of them did not provide the vector ‘die-cut shape template’ as it supposed to, they just give jpeg image instead which are not designer friendly. So here you’ll get box templates with die-cut shapes that might be useful for you projects. Simply choose a template, customize the measurement, create and ready to download. download as PDF / SVG, open with Adobe Illustrator (or any vector editor) to edit.